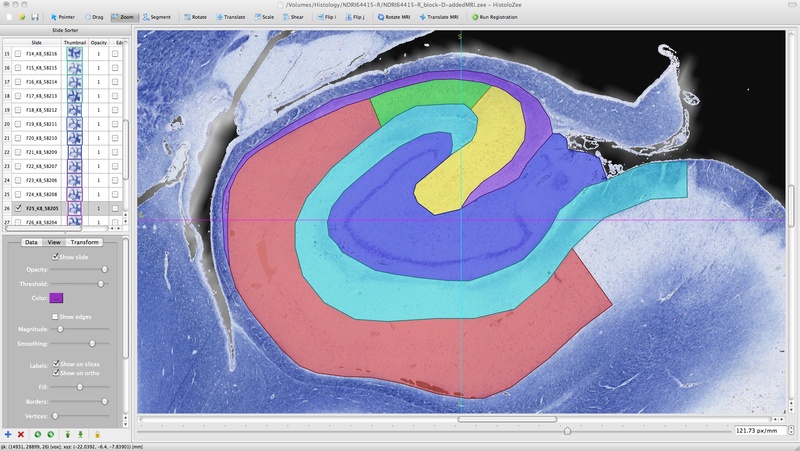 HistoloZee is a tool that integrates histology reconstruction, MRI co-registration, and manual segmentation tools in an easy-to-use and intuitive interface. 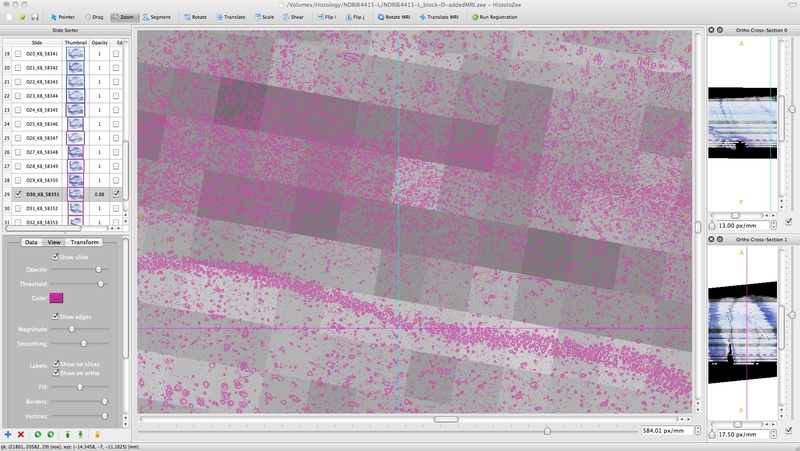 HistoloZee permits real-time interaction with complex and large (multi-GB) histology datasets during the co-registration steps of histology reconstruction. 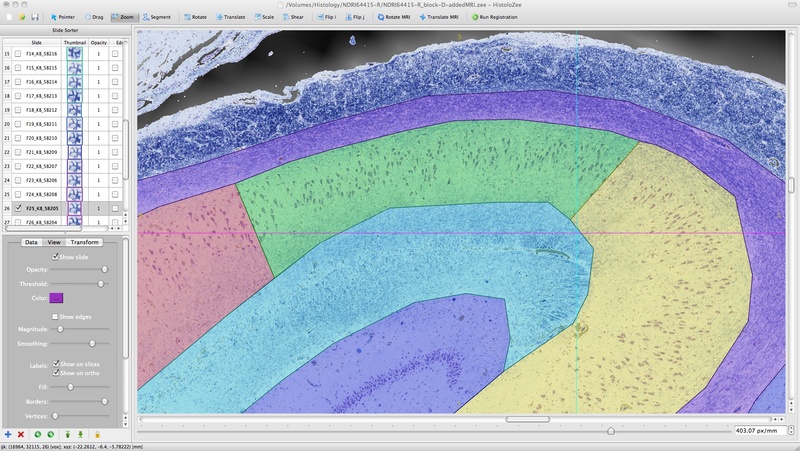 HistoloZee was developed by Daniel Adler under the supervision of Paul Yushkevich. Please contact us to request a pre-distribution copy of the software. 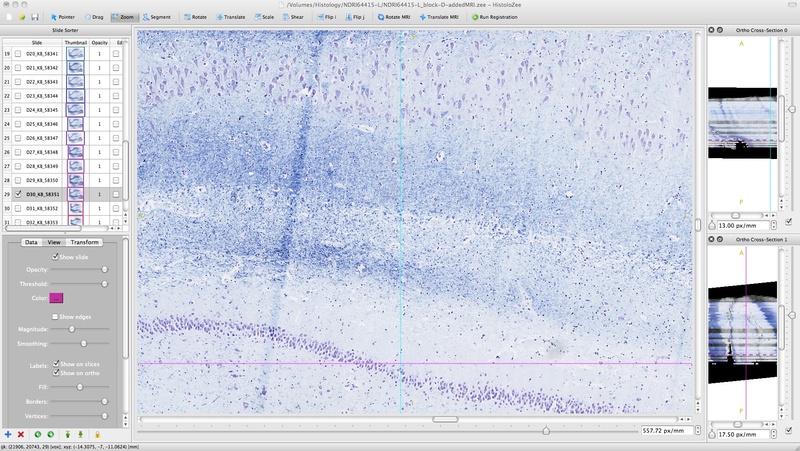 HistoloZee is under active development and the release (v.03) currently run under Mac OS X (>10.6), with Linux and Windows versions forthcoming. 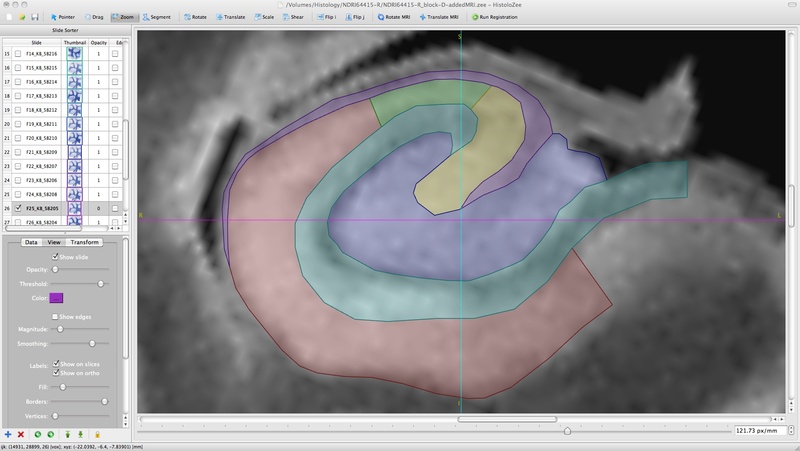 Slides from the tissue block are loaded and co-registered to each other to form an initial volumetric reconstruction. 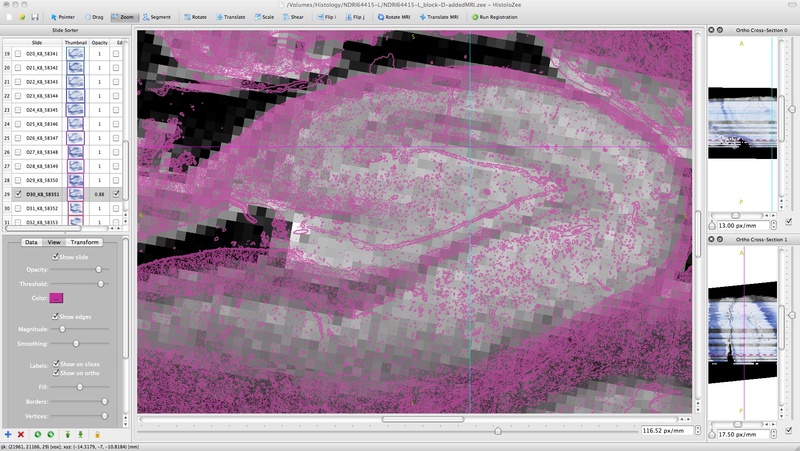 Sorting of slides and the setting of pixel size, slice thickness, and slice spacing are done during this stage. 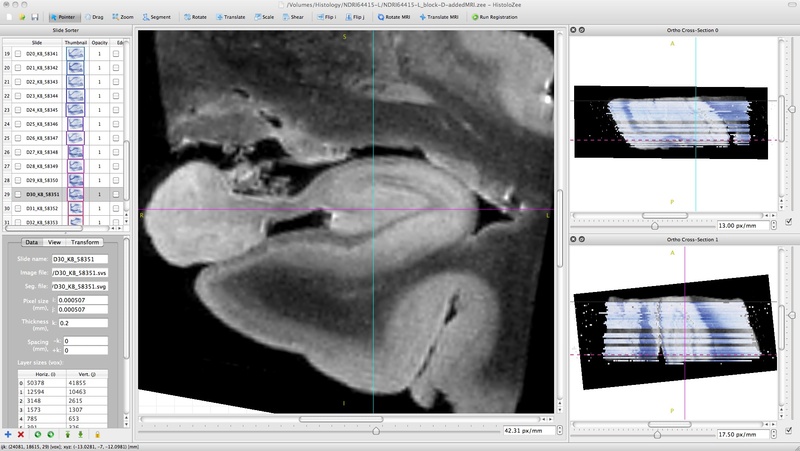 Reference MRI is loaded and aligned to the histology slide stack. Each slide is transformed to better match its corresponding cut-plane in the MRI. … subsequent iteration of steps 2 & 3. 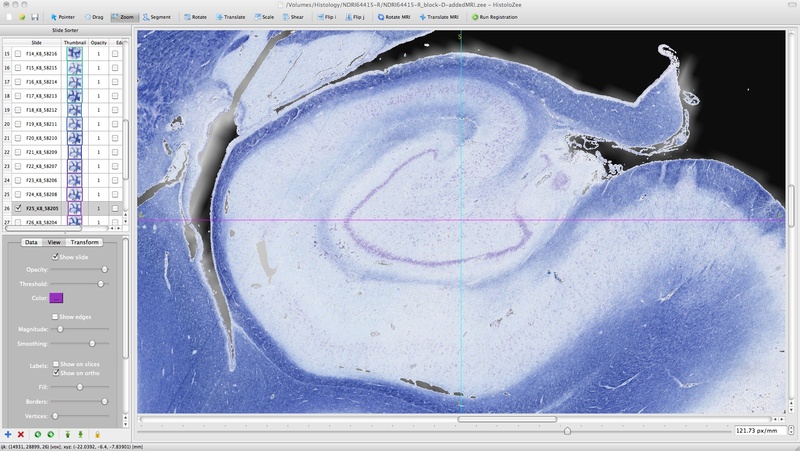 Histology and MRI image transformations are combined harmoniously by a mapping all data into global, physical coordinates. Feel free to give us any feedback or suggestions on the tutorials and software! 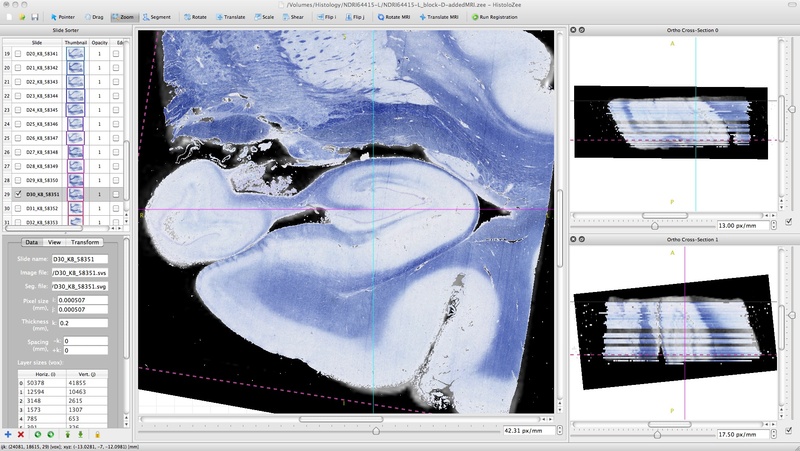 Loading MRI reference image with reconstructed histology stack of human hippocampal formation.